Only MRI positions are allowed. 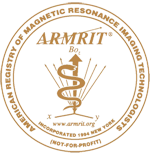 The position must be open to ARMRIT Certified MRI Technologists. You may not enter ARRT, CRT, or graduate of a Radiological Program required. Note: Postings that do not comply will be edited by the Web Manager. A country entry overrides a state/province selection.